Jan is a 42-year-old plumber, originally from Poland. He tells his family doctor that he’s had low back pain, going down the back of his leg and making it painful to walk. He takes drugs for psoriasis and high blood pressure. He smokes five cigarettes a day (down from 20 a year ago). He went through a long period of depression after his first child was stillborn three years ago and still has days when he feels very low. He and his wife are keen to have another child but she has not become pregnant. Amanda has been Jan’s family doctor for many years. She works full time, typically seeing 30 patients a day and doing much of the administration. She went on a one week update course recently, in which specialists presented the latest evidence on 15 clinical topics. She sees the occasional pharmaceutical representative and skims the abstracts in two journals regularly. She is a member of an online social media (Facebook) group where she shares ideas and (with consent) fragments of real patient cases with her peers. She joins this group twice a day and finds it a source of usable knowledge and support. The various guidelines relevant to Jan’s acute and chronic conditions exceed 500 pages.1 2 3 4 5 6 7 Amanda does not consult any of these guidelines. An experienced practitioner using knowledge that is primarily intuitive and applied through heuristics (rules of thumb),8 she asks Jan a few questions about his back pain and examines him. While doing so, she notices that his psoriasis is quiescent and also checks his blood pressure. She offers him non-steroidal anti-inflammatory drugs and asks him to return in a few days if his symptoms have not settled. Because she knows Jan well, Amanda picks up on subtle cues about his mental state and judges that there is no pressing need to ask screening questions for depression. As with all her patients, she ends by asking him the open ended question, “Is there something else I can help with today?” This invitation allows Jan to raise the issue that troubles him most: that he and his wife have been trying unsuccessfully for another baby for some months. Amanda acknowledges this concern as legitimate and serious, and subtly bears witness to his past bereavement. She invites him and his wife to come back together to discuss it further. Despite the number of problems, Amanda has dealt with most in eight minutes and has entered sufficient data onto Jan’s medical record to allow meaningful follow-up as well as secondary uses of the data (audit, annual reports, research). Though it did not cross Amanda’s mind to consult a guideline, her clinical decisions (some explicit and formally documented; others unconscious and not documented) align closely with the relevant guidelines. Experienced doctors are aware of the “red flag” symptoms in acute low back pain,1 that blood pressure must be checked regularly in primary hypertension,3 that brief interventions are effective and cost effective in smoking cessation,4 and so on. But this knowledge does not arise directly from reading guidelines. As an ethnographic study has shown doctors’ knowledge arises from an ongoing and often vibrant dialogue with peers, interspersed with conversations with personal knowledge sources, such as drug company representatives, brief reading, and occasional courses.9 Communities of practitioners (these days, occurring increasingly in virtual environments) share personal experiences, contextualised cases, and snippets of research evidence and guidelines. Guidelines usually assume a rational comprehensive decision model in which all values, means, and ends are known and considered. In clinical encounters, however, patients and doctors most often follow “the science of muddling through,”10 taking many incremental steps towards actions that seem correct. Given that clinical knowledge does not follow the narrow rationality of “if-then” algorithms contained in guidelines, alternatives are desperately needed. Several initiatives have begun to explore new knowledge tools.11 12 Such tools need to be able to deal with other (non-guideline) knowledge from many sources, less than perfect knowledge, unique single case scenarios, and multiple actions and options. Other kinds of knowledge—Gabbay and Le May have emphasised the practical and contingent nature of clinical knowledge (“knowledge in practice in context”). They coined the term “mindlines” to denote the continuously evolving and socially shared schemas that support clinical practice.13 Explicit knowledge from guidelines is fed into collective mindlines—where it is challenged, made sense of, and integrated (or not) with clinicians’ existing knowledge.14 For example, few doctors could now cite the study that shifted viewpoints on hormone replacement therapy, but it would be hard to find a practising clinician who does not know that research shows that risks outweigh benefits in most women. Less than perfect knowledge— Despite the best efforts of guideline developers, the holy grail of a clinical guideline that is complete, accurate, succinct, accessible, comprehensive and robustly supported by evidence, continues to recede into the future.15 The reality is that busy clinicians are working with guidelines that represent imperfect knowledge (box 1). Of course, we should take steps to prevent these problems from causing wrong predictions (and hence wrong decisions) in clinical encounters. But it is unlikely that the problems will ever be overcome completely. Dealing with a unique single case—Population level data give us probabilities whereas events either happen or do not happen to individuals. As the example of Jan illustrates,24 25 individual illness exists in unique contextual circumstances, and people’s preferences may be at odds with the population averages used in clinical guidelines. In sum, clinical guidelines, as currently constructed, are not fit for the purpose of informing real clinical activity. Below, we propose an alternative. It also rests on what might be called “bricolage,” a term originally coined by the anthropologist Levi-Strauss, and which Van de Ven has paraphrased as “improvising with a mixed bag of tools and tacit knowledge to adapt to the task at hand.”30 Effective knowledge tools must reflect the dynamic and dialogical nature of the clinical encounter, the tacit nature of much clinical knowledge, and the crucial role of clinical bricolage in managing information and navigating uncertainty. Intuition cannot substitute for knowledge—indeed, research indicates that intuitive and analytic thinking both rely on the same data31—but knowledge tools can make the data easier to access and process. What do these knowledge tools look like? They are short, flexible, and accessible—Knowledge tools must fit the time constraints of clinical encounters and be “silent” enough to catalyse dialogue. In some circumstances, simple paper tools may be best (they can be printed out, taken home, and scribbled on).35 For some, digital formats that have been designed to fit into workflows may allow information to be visualised or animated.36 Reducing literacy and numeracy requirements to an absolute minimum (perhaps by making use of pictures and diagrams) will make the tools accessible to most patients. They admit uncertainties about the benefits and harms that patients would want to know about—Knowledge tools should enable patients and doctors to deal with less than perfect knowledge from many sources. They should outline the medical debates and uncertainties about a topic. For patients with low literacy, clinicians have an important role in identifying what is not being said (or asked for) and avoiding the risk of harm. They can explain, for example, that smoking gives a higher risk of future illness than a slightly raised cholesterol level, or that a prostate specific antigen test is not as innocent as it is described in many newspapers. They address the reason for the clinical encounter—Knowledge tools should deal with what the patient presents to a clinician, not a textbook condition or diagnostic label. If a patient comes in with low back pain, for example, the tool should enable a differential diagnosis and plan for low back pain, not just sciatica. Instead of a linear approach guidelines may have to promote a more iterative or circular diagnostic process where patients and clinicians explore, reconsider, and try to solve the problem. They compare alternatives—Tools should recognise the existence of reasonable alternative options and actions, where they exist, and provide information about comparative harms and burden of treatment as well as predicted benefits. User centred design: knowledge tools as wikis? Creating these new “just in time” and “just enough” knowledge tools is both a design and sustainability challenge. The design would need to be user centred, recognising input from patients as much as from clinicians. Creative formats developed by media savvy people who specialise in communication, taking what they need from those who are good at calculating effect sizes and confidence intervals, would be the way to go. Perhaps these knowledge tools could become open source, using a wiki format. The self organising, self critical nature of social media and knowledge sharing might provide the evolutionary pressure required to keep these tools up to date, useful, and well designed. A key feature of such tools is “searchability” and ease of access, for both public and in-clinic use. High rankings on search engines and being easy to use on smartphones, tablets, and other platforms will facilitate uptake. Why might these tools trump clinical guidelines? Knowledge tools that are developed for collaborative use will, by dint of user centred design, avoid using formats that are unwieldy and unreadable. However, they face the same difficulty as other tools when it comes to evidence synthesis, updates, and competing interests. Linking the production of knowledge tools to evidence synthesis processes, as used by medical information databases such as DynaMed Plus or UptoDate would be a possible route to scale. When Jan and his wife come back, they have circled some things and want to ask questions. It becomes clear that they have become familiar with the terminology and some of the tests used to investigate secondary infertility. Amanda focuses on their concerns and finds herself helping them navigate future steps rather than explaining the possible options (which they seem to have already grasped). She also finds the data interesting and was unaware of some risk estimates. Jan and his wife clearly want to hear Amanda’s views, and they see her as the expert who should decide on the next step, but they are pleased to have been asked for their views. Jan’s back pain is not bothering him today. The differences between the original encounter and this one are subtle, yet important. The mainstay of the consultation would still be based on implicit knowledge in practice in context. But Jan, his wife, and Amanda have woven some explicit knowledge into their discussion and Jan has gained direct access to such knowledge. There is more clarity about potential harms, benefits, and burdens.38 Most importantly, the process still allows a meaningful discussion to personalise what needs to be done next while taking into account what matters most to a patient. Contributors and sources: GE initiated the article, and was joined by TG and SW who made extensive revisions. All authors approve the final draft. TG and SW investigated the concept of mindlines in previous studies, and GE has evaluated the use of knowledge tools designed for use in clinical encounters. Competing interests: We have read and understood BMJ policy on declaration of interests and declare GE initiated the Option Grid Collaborative, which develops and disseminates Option Grid decision aids under the auspices of the Dartmouth Institute for Health Policy and Clinical Practice. National Institute for Health and Care Excellence. Low back pain in adults: early management. Clinical guideline 88. NICE, 2009. National Institute for Health and Care Excellence. Psoriasis: assessment and management. Clinical guideline 153. NICE, 2012. National Institute for Health and Clinical Excellence. The clinical management of primary hypertension in adults. Clinical guideline 127. NICE, 2010. National Institute for Health and Clinical Excellence. Stop smoking services. Public health guidance 10. NICE, 2008. National Institute for Health and Care Excellence. Depression in adults: recognition and management. Clinical guideline 156. NICE, 2009. National Institute for Health and Care Excellence. Fertility problems: assessment and treatment. Clinical guideline 156. NICE, 2013. National Institute for Health and Care Excellence. 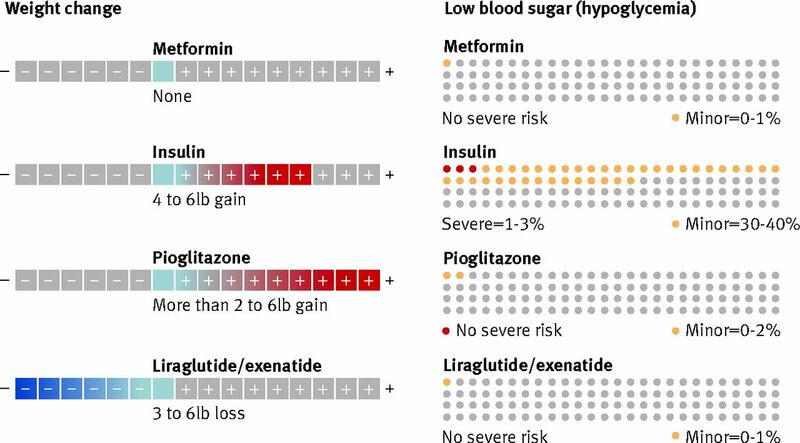 Type 2 diabetes: prevention in people at high risk. Public health guidance 38. NICE, 2012. Gigerenzer G, Gaissmaier W. Heuristic decision making. Annu Rev Psychol2011;62:451-82. doi:10.1146/annurev-psych-120709-145346 pmid:21126183. Gabbay J, le May A. Evidence based guidelines or collectively constructed “mindlines?” Ethnographic study of knowledge management in primary care. BMJ2004;329:1013. doi:10.1136/bmj.329.7473.1013. pmid:15514347. Lindblom C, Gore W, Dyson J. The science of ‘muddling’ through.Free Press, 1964. Agoritsas T, Heen AF, Brandt L, et al Decision aids that really promote shared decision making: the pace quickens. BMJ2015;351:g7624. van der Weijden T, Pieterse AH, Koelewijn-van Loon MS, et al. How can clinical practice guidelines be adapted to facilitate shared decision making? A qualitative key-informant study. BMJ Qual Saf2013;22:855-63. doi:10.1136/bmjqs-2012-001502. pmid:23748154. Gabbay J, Le May A. Practice-based evidence for healthcare: Clinical mindlines.Routledge, 2010. Wieringa S, Greenhalgh T. 10 years of mindlines: a systematic review and commentary. Implement Sci2015;10:45. doi:10.1186/s13012-015-0229-x. pmid:25890280. Greenhalgh T, Howick J, Maskrey N. Evidence Based Medicine Renaissance Group. Evidence based medicine: a movement in crisis?BMJ2014;348:g3725. doi:10.1136/bmj.g3725 pmid:24927763. Guyatt G, Akl EA, Hirsh J, et al. The vexing problem of guidelines and conflict of interest: a potential solution. Ann Intern Med2010;152:738-41. doi:10.7326/0003-4819-152-11-201006010-00254. pmid:20479011. Akl EA, El-Hachem P, Abou-Haidar H, Neumann I, Schünemann HJ, Guyatt GH. Considering intellectual, in addition to financial, conflicts of interest proved important in a clinical practice guideline: a descriptive study. J Clin Epidemiol2014;67:1222-8. doi:10.1016/j.jclinepi.2014.05.006. pmid:24970099. Vandvik PO, Brandt L, Alonso-Coello P, et al. Creating clinical practice guidelines we can trust, use, and share: a new era is imminent. Chest2013;144:381-9. doi:10.1378/chest.13-0746. pmid:23918106. Laine C, Taichman DB, Mulrow C. Trustworthy clinical guidelines. Ann Intern Med2011;154:774-5. doi:10.7326/0003-4819-154-11-201106070-00011. pmid:21646561. Turner EH, Matthews AM, Linardatos E, Tell RA, Rosenthal R. Selective publication of antidepressant trials and its influence on apparent efficacy. N Engl J Med2008;358:252-60. doi:10.1056/NEJMsa065779. pmid:18199864. Dwan K, Altman DG, Arnaiz JA, et al. Systematic review of the empirical evidence of study publication bias and outcome reporting bias. PLoS One2008;3:e3081. doi:10.1371/journal.pone.0003081. pmid:18769481. Allen D, Harkins KJ. Too much guidance?Lancet2005;365:1768. doi:10.1016/S0140-6736(05)66578-6. pmid:15910948. Hughes LD, McMurdo MET, Guthrie B. Guidelines for people not for diseases: the challenges of applying UK clinical guidelines to people with multimorbidity. Age Ageing2013;42:62-9. doi:10.1093/ageing/afs100. pmid:22910303. Violan C, Foguet-Boreu Q, Flores-Mateo G, et al. Prevalence, determinants and patterns of multimorbidity in primary care: a systematic review of observational studies. PLoS One2014;9:e102149. doi:10.1371/journal.pone.0102149. pmid:25048354. Greenhalgh T. Uncertainty and clinical method. In: Sommers L, Launer J, eds. 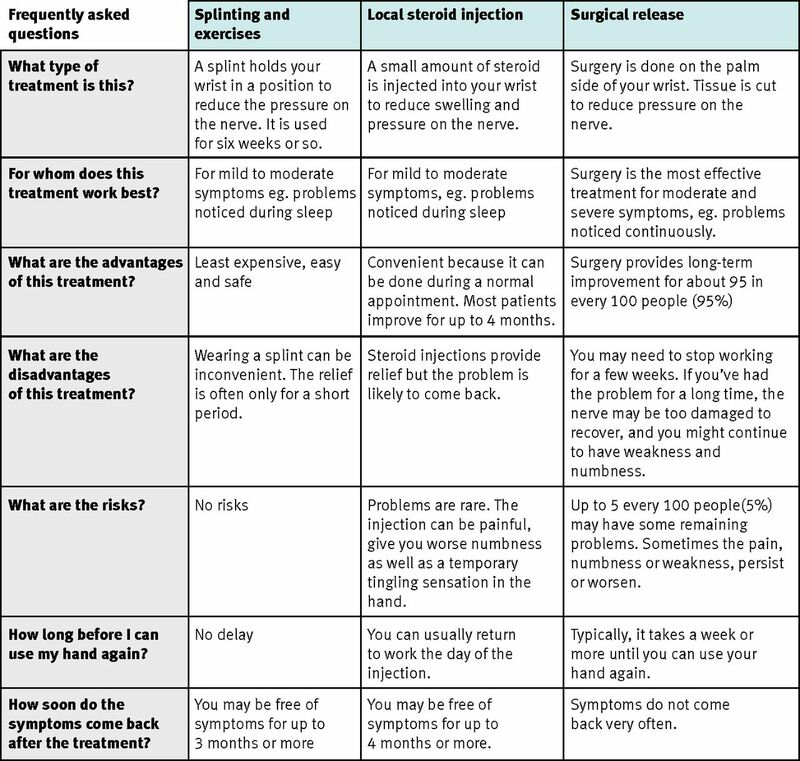 Clinical uncertainty in primary care. The challenge of collaborative engagement.Springer: 23-45. Schei E. Doctoring as leadership: the power to heal. Perspect Biol Med2006;49:393-406. doi:10.1353/pbm.2006.0048. pmid:16960309. Montgomery K. How doctors think: clinical judgment and the practice of medicine.Oxford University Press, 2005. Elwyn G, Quinlan C, Mulley A, Agoritsas T, Vandvik PO, Guyatt G. Trustworthy guidelines - excellent; customized care tools - even better. BMC Med2015;13:199. doi:10.1186/s12916-015-0436-y. pmid:26324120. Elwyn G, Lloyd A, May C, et al. Collaborative deliberation: a model for patient care. Patient Educ Couns2014;97:158-64. doi:10.1016/j.pec.2014.07.027. pmid:25175366. Van de Ven A, Johnson P. Knowledge for theory and practice. Acad Manage Rev2006;31:802-21doi:10.5465/AMR.2006.22527385. Kruglanski AW, Gigerenzer G. Intuitive and deliberate judgments are based on common principles. Psychol Rev2011;118:97-109. doi:10.1037/a0020762. pmid:21244188. Wyatt KD, Branda ME, Anderson RT, et al. Peering into the black box: a meta-analysis of how clinicians use decision aids during clinical encounters. Implement Sci2014;9:26. doi:10.1186/1748-5908-9-26. pmid:24559190. Elwyn G, Pickles T, Edwards A, et al. Supporting shared decision making using an Option Grid for osteoarthritis of the knee in an interface musculoskeletal clinic: a stepped wedge trial. Patient Educ Couns2016;99:571-7doi:10.1016/j.pec.2015.10.011. pmid:26566194. Berg M. Patient care information systems and health care work: a sociotechnical approach. Int J Med Inform1999;55:87-101. doi:10.1016/S1386-5056(99)00011-8. pmid:10530825. Durand M-A, Alam S, Grande SW, Elwyn G. “Much clearer with pictures”: using community-based participatory research to design and test a picture option grid for underserved patients with breast cancer. BMJ Open2016;6:e010008. doi:10.1136/bmjopen-2015-010008. pmid:26839014. Tiedje K, Shippee ND, Johnson AM, et al. “They leave at least believing they had a part in the discussion”: understanding decision aid use and patient-clinician decision-making through qualitative research. Patient Educ Couns2013;93:86-94. doi:10.1016/j.pec.2013.03.013. pmid:23598292. May CR, Eton DT, Boehmer K, et al. Rethinking the patient: using burden of treatment theory to understand the changing dynamics of illness. BMC Health Serv Res2014;14:281. doi:10.1186/1472-6963-14-281. pmid:24969758. Croskerry P. From mindless to mindful practice—cognitive bias and clinical decision making. N Engl J Med2013;368:2445-8. doi:10.1056/NEJMp1303712. pmid:23802513.